An essential medium for tinting photos by hand, Marshall's Marlene Medium is specifically developed for lightening or removing Marshall's Photo Oil Colors. Unlike turpentine, it will not spread, shine when dry, or leave a ring. 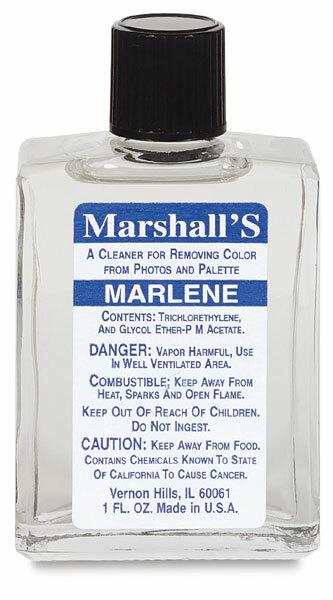 It evaporates quickly, has very little odor, and is non-flammable.